Serving acupuncture and herbal medicine in Toronto since 1992. 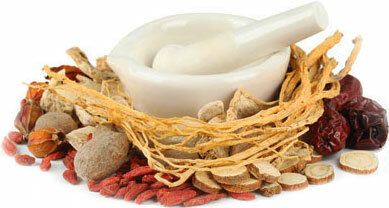 Since 1992, we have been delivering quality acupuncture and herbal medicine services in Toronto. The clinic also specializes in Qigong practice, Chinese medicine training and moxibustion treatment. Traditional Chinese Medicine helps to promote proper functioning and to stimulate the body’s own natural healing. Acupuncture treatments address not only the symptoms but the total body condition. re-balance the body and to restore harmonious function. As arts and sciences that have evolved in China over thousands of years, acupuncture and herbal medicine treat the entire body to restore health and internal balance. With renowned expertise and professional experience. Wendy acquired her eight years TCM professional training in China and obtained her Masters Degree from Guangzhou University of Chinese Medicine in 1989. She practiced at Shenzhen TCM Hospital for another four years before establishing her private practice in Toronto 1992. In addition to her 25 years of clinical experience, Wendy is also a founding director of Ontario College of Acupuncture and Chinese Medicine and instructor of TCM Diagnosis and Clinical Acpuncuture at Ryerson University. She has co-authored acupuncture and TCM books in both English and Chinese. Conveniently located along the Toronto subway line in the vibrant Greektown community.